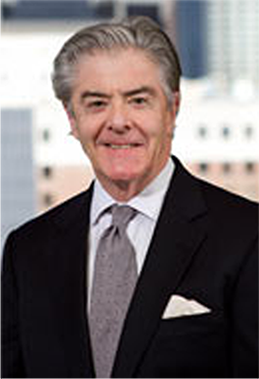 Charles F. Callanan is one of the founding partners of Callanan, Rogers & Dzida, LLP. Mr. Callanan practices in the area of commercial and business law with emphasis on the organization and sale of businesses, providing practical solutions to legal problems that affect new and established businesses including contracts, financing transactions, employment agreements and commercial leases. Mr. Callanan also represents various nonprofit religious institutions and educational institutions. Prior to the formation of Callanan, Rogers & Dzida, LLP, Mr. Callanan was a partner and one of the founding partners of Sullivan, Workman & Dee, LLP. Robert Rogers is one of the founding partners of Callanan, Rogers & Dzida, LLP. 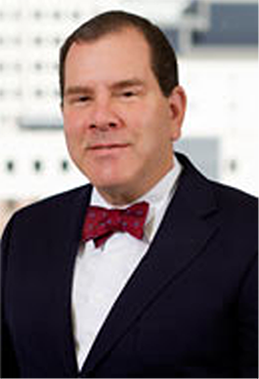 Mr. Rogers is a litigator and trial lawyer, whose primary emphasis is employment disputes wrongful termination and discrimination, eminent domain, major personal injuries, civil litigation and independent sales representatives’ litigation. Mr. Rogers has a blend of facilitative skills and hands-on leadership experience that makes him ideally suited as a litigation attorney, negotiator and mediator. He divides his time between the firm’s main office in downtown Los Angeles and the firm’s branch office in San Pedro. Prior to the formation of Callanan, Rogers & Dzida, LLP, Mr. Rogers was a partner of Sullivan, Workman & Dee, LLP, from January of 1990 through June of 2009. It was nice working with you as well. I am a big believer that attorneys can zealously advocate on behalf of our clients, without losing professionalism, but this is one of those rare cases where we able to achieve that. Rob was an excellent lawyer who was very personal in dealing with my issues and always responded to me quickly when I had questions. He also had very much human compassion for what I was going through at that time in my life. He is a really wonderful person to work with and I would highly recommend him to anyone that needed this kind of service. Rob Rogers and his entire team were FANTASTIC. I had a dispute over unpaid commissions and Rob was very experienced! He knew case law and had ideas that helped me recover my commission due, plus more! I am very pleased with this firm, and would HIGHLY recommend this team! 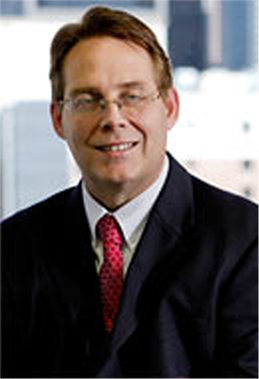 Joe Dzida is one of the founding partners of Callanan, Rogers & Dzida, LLP. He brings broad experience and strength to the CRD team. Mr. Dzida is both an accomplished litigator and an experienced transactional attorney. He has served as lead trial attorney in over one hundred court and jury trials, and the decisions in many of his appellate cases have been published in the official reports. Mr. Dzida is also an experienced and accomplished transactional attorney, negotiating and documenting real estate and business agreements and organizing business and non-profit corporations and limited liability companies for large and small clients. He, therefore, brings the practical perspective he has gained from both of these areas, as a litigator and as a transactional attorney, to his clients and their legal needs. Prior to the formation of Callanan, Rogers & Dzida, LLP, Mr. Dzida was one of founding partners of Sullivan, Workman & Dee, LLP. Thanks for resolving this Issue with the lowest possible cost! Thanks for going above and beyond what we had originally asked for, and trying to get more for us. Joe Dzida and his team were very professional, they always kept me informed and were very easy to work with. Joe & the firm are extremely knowledgeable, passionate about their services they provided and very hard working. I am very thankful to Joe for everything that he has done for my case and we settled on more than we thought we would get in mediation. I highly recommend Joe Dzida at Callanan, Rogers & Dzida, LLP.